a. The product is designed to combined structure, and assembled with rivet nut and high-strength bolt connection. The enclosure is made of aluminized zinc steel plate with 2mm thickness imported from Switzerland. Shutter is made of high quality cold-roll steel sheets and adopts resin powder electrostatic spraying process. 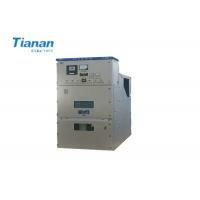 It has attractive appearance, convenient installation and maintenance. b. 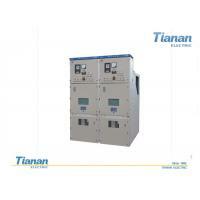 The panel is processed and bended through the imported numerical control equipment, so that the switchgear is lower than the same kinds of switchgear in weight and better in mechanical strength. The enclosure is IP4X in protection class. 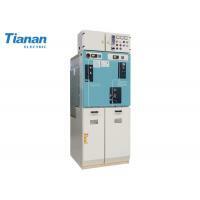 The switchgear has high accuracy, and is convenient for assembly and material unification. c. HV compartments are isolated from each other. Each HV compartment is equipped with pressure relief plate on the top to ensure internal arc fault has no impact on the neighbor compartments and guarantee the security of the equipment and personnel.HV and LV compartments of switchgear are sealed well. 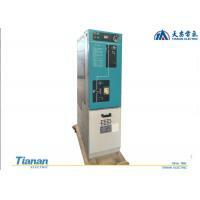 There is self-heating device in the HV compartment to ensure the surface of insulator is dry in switchgear. 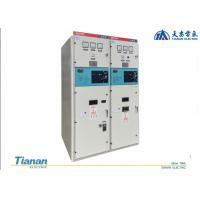 d. The door of switchgear can be opened. In order to ensure personnel security, all normal operations including open and close of circuit breaker, operation of pushing circuit breaker handcart to “on” position, operation of withdrawing to “test” or “disconnecting” position, and open and close of earthing switch are required to be done when the doors of HV compartment are closed. 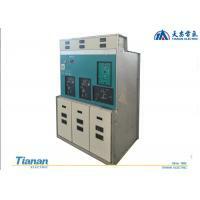 e. The switchgear is divided into handcart room, busbar room, cable room, relay room and control room. There is metal earthing shutter at back of handcart room. After withdrawing handcart, the shutter will be closed automatically. The secondary contacts will be open or closed when the handcart is in or out. 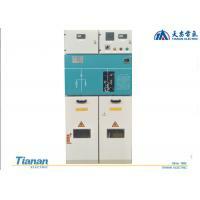 Busbar room is separated from other rooms. Cable room is located at back bottom of switchgear, which will be convenient for arrangement of incoming and outgoing cables. At bottom of cable room, there are a earthing busbar. Relay room and control room are located at former top of switchgear. 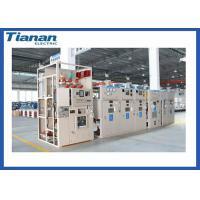 f. When the horizontal clapboard and the clapboard in busbar room are drawn, it will be very convenient to connect main busbar, install and maintain cable, earthing switch, lightning arrester, CT, etc on the front of switchgear. 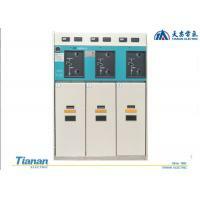 g. Switchgear panel is equipped with observation window through which “on” or “off” button of circuit breaker handcart and mechanical position indicator can be observed, as well as energy stored or energy released of spring indicators. 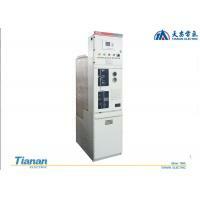 The observation window also can be used to open and close circuit breaker and store energy manually. 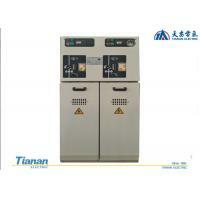 h. The handcart matches with insulating parts of switchgear, interlocking is safe, reliable and flexible. Handcart has breaking, test, operating position in switchgear, all positions have locating device to ensure reliable interlocking. i. 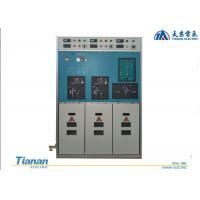 Alive busbar adopts heat-shrinkable bushing set in the cubicle, the busbar is copper, and the junction is tinned.